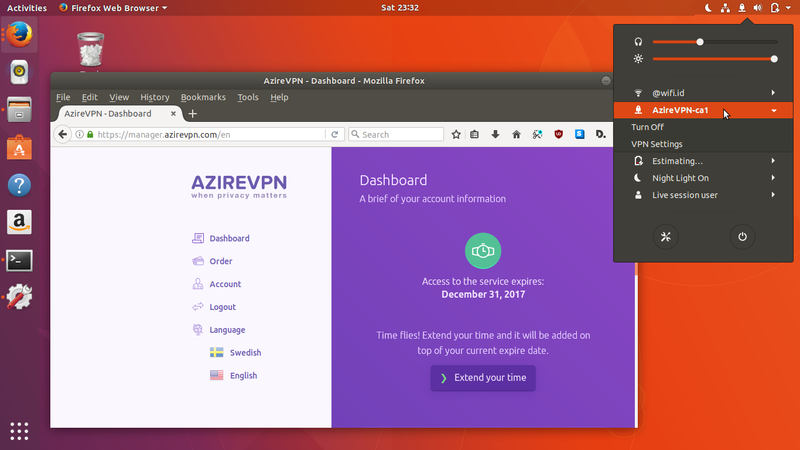 This tutorial explains easy steps for Ubuntu 17.10 to connect to AzireVPN.com OpenVPN service (with a gratis trial account). 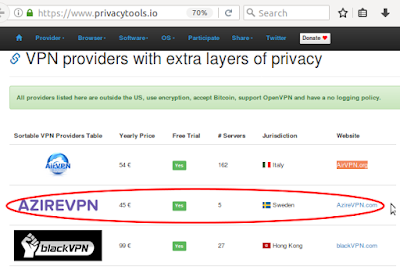 As you may know, AzireVPN.com is one among a few privacy-respecting VPN providers listed at www.PrivacyTools.io, and it provides free trial. This article is for you new user or first-timer in using OpenVPN on Ubuntu. Enjoy VPN! If you care about your internet privacy, you may know great website such as Privacy Tools very well. AzireVPN is listed there as one of VPN providers that offer free trial. 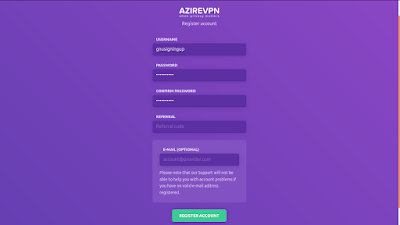 I have tried all providers that provide free trial there and I found that AzireVPN is the easiest & time-saving among them (it doesn't ask you any payment, any credit card or BitCoin, nor even any email; its registration process is very simple) for GNU/Linux users. 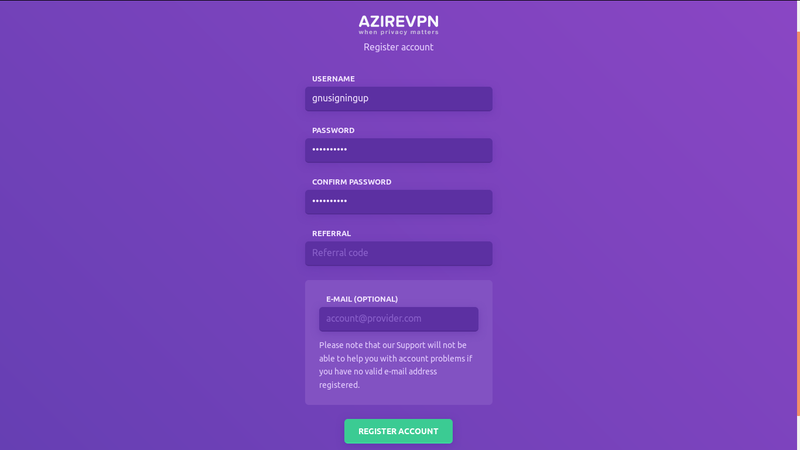 Go to "Try Now" page at AzireVPN.com. Create a gratis account (active only for 24 hours). You don't need email or credit card there. Just remember the username and the password you created there. 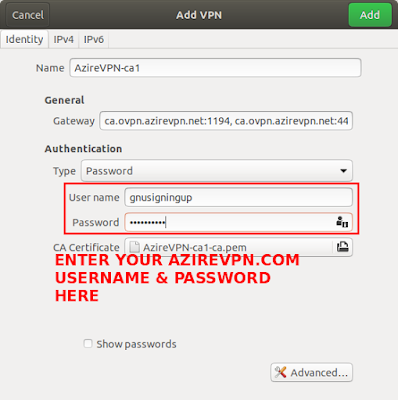 Use your username and password to login to AzireVPN web dashboard. As an example, I download the config file of "Canada - Toronto" server here. Then my IP address (seen by websites) will be changed to Canada's address whenever I connect using AzireVPN. 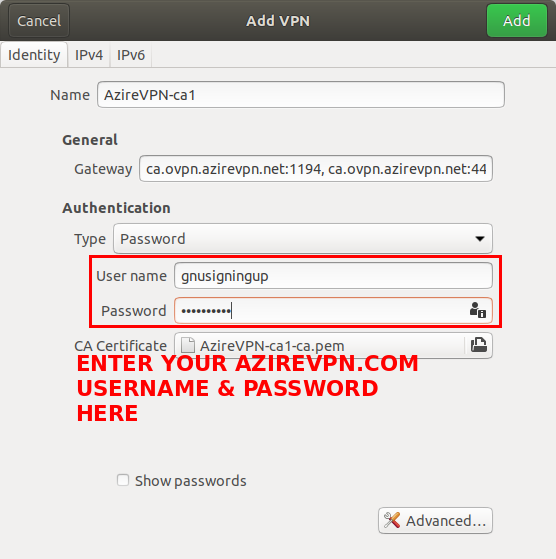 Second, enter your AzireVPN.com username and password there > press Add button. 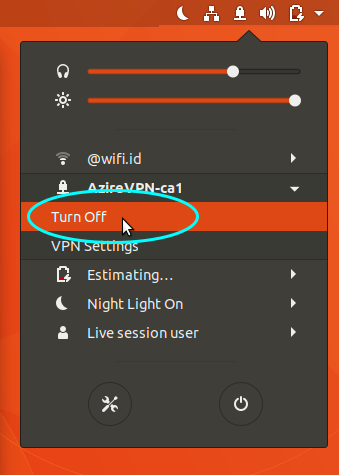 Switch "ON" the VPN & you'll asked for your AzireVPN password. Enter it and press Connect. 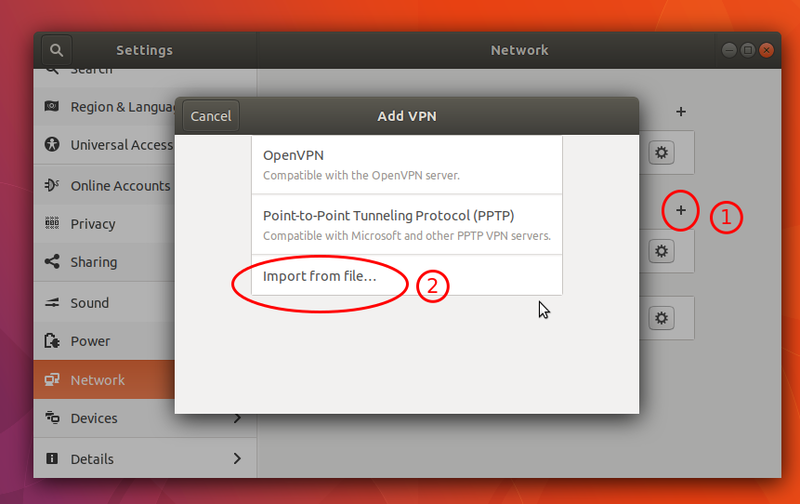 Once connected successfully, you'll see the network icon changed to "VPN icon" (a lock over a cable) like below. 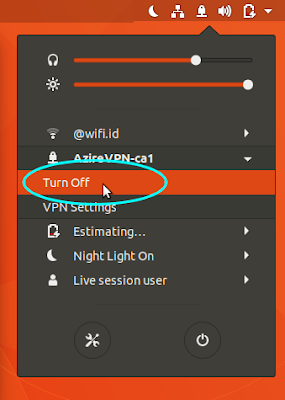 To close the connection, go to Network Manager > select your AzireVPN name > select Turn Off. To check whether you successfully using AzireVPN or not, you can visit website like IPLocation.net and see the "IP Location" field. This examples uses Canada - Toronto server so this website should says "Canada (CA)" location like picture below. Do the same thing with your connection.